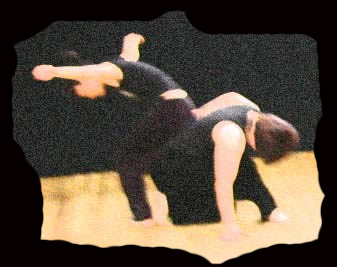 Critically acclaimed, DanceAntonini is a modern dance company in the Washington DC metro area. Directed by Lou Antonini, it has an eclectic blend of artists and presents a broad range of work in dance theater. DanceAntonini's primary focus is centered on bridging modern dance, movement awareness, and dance-theater to the public eye. This is achieved through participating in cultural events and community outreach initiatives, as well as, producing company concerts and site-specific projects. DanceAntonini has been presented by The Shakespeare Theater Company, The Friends of the Torpedo Factory Art Center, The Strathmore, Pyramid Atlantic Art Center, Space 7:10 at the Kefa Cafe, World Arts Focus/Joe's Movement Emporium, The Joy of Motion Dance Center, and the Capital Fringe. It has participated in Artomatic, Arts on Foot, JOMDC Dance Project, the DC International Improvisation Festival, Happenings at the Harman, Friday Night Eclectic, and The Dinner Party. It has produced shows at The Jack Guidone Theater at The Joy of Motion Dance Center and The Washington House. DanceAntonini is a CultureCapital.com participant. DanceAntonini's Dance Outside the Box program presents site-specific dance improvisation installations at various points around the Nation’s Capital including museums, landmarks, gallery spaces, storefronts, and coffee shops. DanceAntonini has reached out to area senior citizens through its An Afternoon of Modern Dance series at the Washington House in Northern Virginia. This program provided a series of afternoon tea time dance concerts and lecture demonstrations on modern dance and our work. Additionally, DanceAntonini strive's to provide a stable medium for artists to develop and present work through it's Open Range program. This program offers new experiences to the company members as well as local and guest artists. Works in addition to Antonini's included the talents of Summer Beasley, Barb Blauhut, Carrie Brueck, Lillian Cho, May Kesler, Mary Szegda, Lindsay Moore, Leslie Zucker and Hilary White as well as group projects organized collectively by the company’s members themselves. DanceAntonini produced its debut company concert, Personality Infused Modern Dance, at the Jack Guidone Theater at Joy of Motion Dance Center in the Fall of 2002 with works by Lou Antonini, Lillian Cho and Carrie Brueck. This concert showcased signature works created by Antonini over the years with a group of dancers that would get together for performances on an ad-hoc basis. 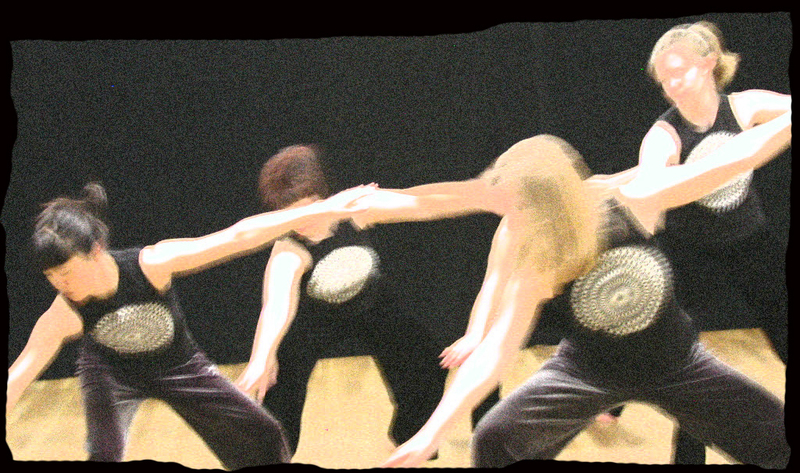 Some of these dancers still participate with the movement group today. 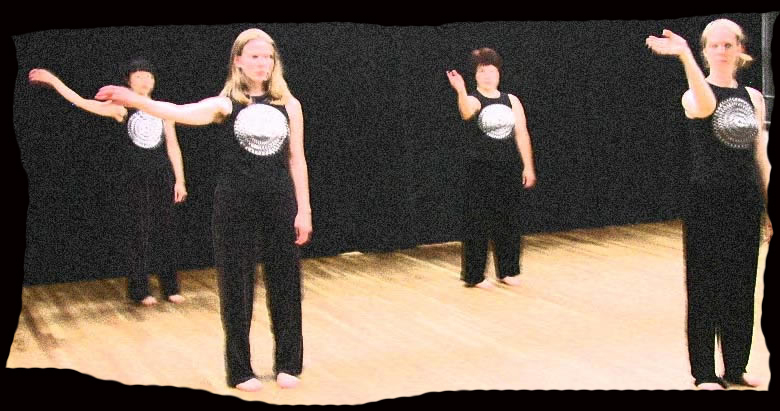 DanceAntonini's repertory includes choreographically set works, some with improvisational elements included, as well as structured and free-form improvisational works. 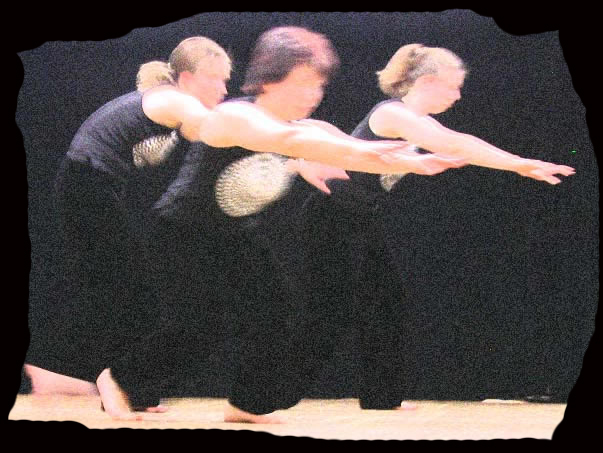 Lou’s background encompasses a variety of dance styles and the artists' backgrounds have a variety of training. Though the primary focus is post-modern dance and release work, we foster dancers' unique qualities and individually casted interpretations into movement when creating a piece. This allows for the personalities of both the choreographers and the dancers to collectively play a role in the creative process. The body of Lou Antonini's work encompasses everything from abstract to literal with a sometimes sublime, sometimes ambient, sometimes quirky, quality. Gesture and those movement qualities of the everyday are present, as well as natural organic impulses and improvisation. These principles effect everything from costumes and set design, to interactions among and motivation for the dancers. Humor and a wide range of musical accompaniment add additional layers to the character of DanceAntonini.